The Terenez Triple Breton beer is offered in an exceptional 2 liter jug. The Terenez Triple is a round, mellow beer with a complex structure and rich fruity aromas. 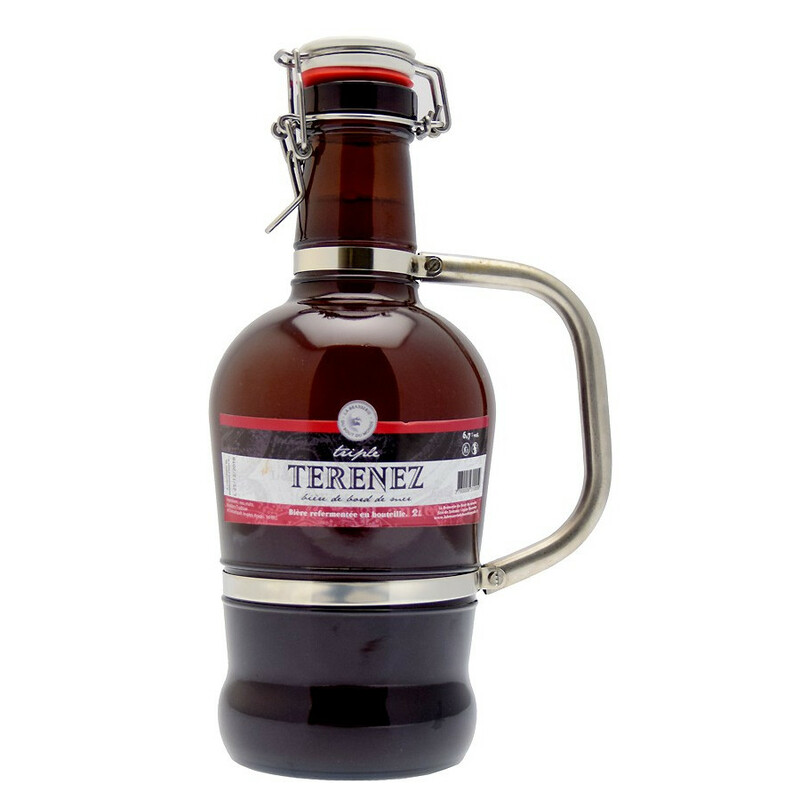 The Terenez Triple Breton beer is offered in an exceptional 2 liter jug. This beer has been brewed by the Bout du Monde Brewery in Finistere, Britanny, from three different frains: barley, oats and wheat. The Terenez Triple is a round, mellow beer with a complex structure and rich fruity aromas which brings roundness. This beer is great served with spicy food but also crepes! The ideal serving temperature is 8 to 10°C, not too cold as it would hinder the beer's flavours.